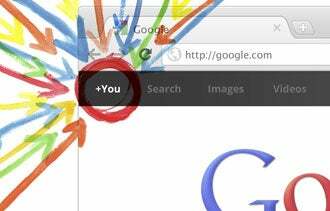 Why the hubbub about Google+? The last thing entrepreneurs need is another social network to join, right? Weren't you just getting the hang of Twitter? Didn't you just start putting that Facebook business page together? So why is Brogan back here telling you to get into Google+, and pronto? I've never made a prediction like this before. I'm not exactly Mr. Bleeding Edge. But what I've seen so far is that the new social network from Google has a lot of advantages that are worth thinking about, and entrepreneurial types should take a look-see. Google+ is a social networking platform, but you can look at it a lot of different ways. You can say it's like Facebook, only cleaner. It's like Twitter, only more engaging. It has the potential to be a great collaboration and communication platform (you can isolate who sees information by sharing it with specific Circles, or groupings of people). In its earliest weeks of existence, it already was sending more traffic to my website than any other social networking platform. Also, realize that Google+ is indexed by the biggest search engine in the world, also known as Google. Other search engines like it, too. And it has a lot of integration points, such as Google Places (which shows you location information), and an incredible potential for integrating even more of Google's services over time. Social networks are built to try and emulate real-world connectivity and information-sharing. On one hand, they're like a more interesting telephone. On the other hand, they're built to augment (not replace) cocktail parties, chamber of commerce meetings and other places where people get to know each other (or at least used to). Google+ does this surprisingly well, for a few reasons. Google indexes all public posts on Google+, but can't see what you've typed into Facebook. Google+ lets you post much deeper than Twitter's 140 characters. LinkedIn is all business, all the time. Google+ is a 360-degree view of a businessperson. Google+ promotes more commenting, sharing and interaction than Tumblr. Picture displays on Google+ are prettier and getting more comments than Flickr. Google+ lets you share photos, videos, links and location data with everyone, or with your select Circles. Thus, when you find the good stuff that applies to your real estate friends, if you've grouped them into a Circle, you can send that information only to them. Other times, you can share with the general public to try and grow your audience. First (and important) Facebook is not indexed by Google for search results, meaning that everything you do inside there stays inside there. Second, Facebook and LinkedIn both are set up for more of an "exclusive" model, which means that you have to know someone to know something. That's why you see companies pushing so hard for "likes," and why you see people spam the LinkedIn Groups. Google+ is slowly rolling out their "for business" parts of the platform, but on the day I wrote this, I can tell you that even being on their system as an individual representing a company is a big opportunity. The traffic to ChrisBrogan.com has received a huge boost since linking the occasional post from Google+. Simply put, it's important to take action on Google+ right now. I saw the benefits of this when I joined Twitter in October 2006. If you get in, get familiar, start growing connections and learn how to curate and share, you'll be ahead of the game. It's not usually my thing to make predictions, but I'm sticking with this one. See you on Google+.